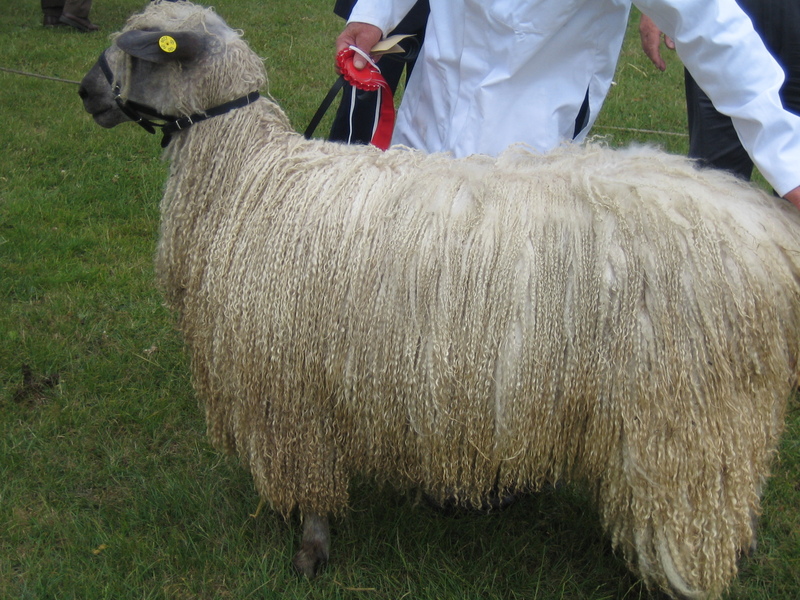 When I was visiting the Rare Breed Show at Singleton I saw my first Teeswater sheep being shown in the ring. It has taken me since July to track down a fleece but am now the proud owner of a partial fleece. It i s quite beautiful. The sheep looks like this. The fleece is in the wash but will post pic as soon as it’s sparkly clean.